When you know you’re going to use outdoor car storage for your vehicle, one of the most pressing worries on your mind is likely to be how to protect your vehicle from damage. A car cover should protect your vehicle from UV rays and the elements, but what about the fine paint job you just invested in? Since many covers are made from different materials, will the cover damage your paint? Should you invest in a vehicle bra for additional protection? First, no, most covers will not damage the paint on your vehicle. No matter what material the cover is made of, it should not damage the paint. If you have a particularly fine paint job that has a higher risk of chipping than typical automobile paint, then you’ll want to consider the material of the cover. Some covers are made of different materials so as to reduce the potential for damaging a paint job. 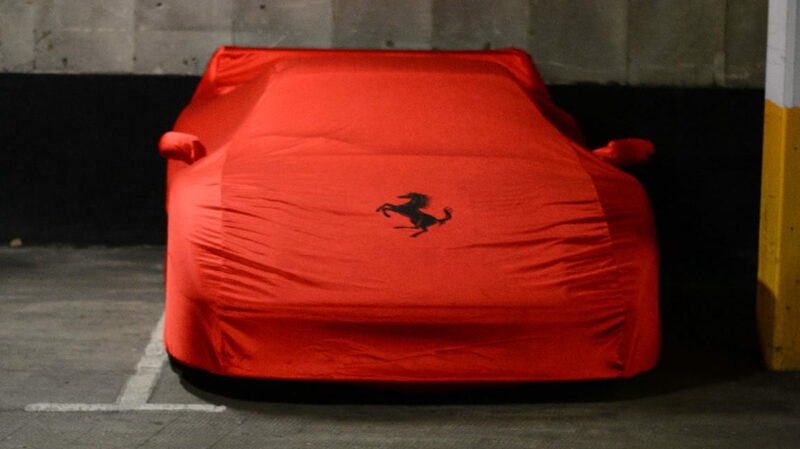 For example, the Dustop cover from California Car Cover is as soft as flannel but lighter in weight. Plushweave is another super-soft cover option, and the Custom weave cover includes a terry loop felt liner. So, if the cover doesn’t damage your vehicle, what do you have to worry about? The real damage occurs if there are any hard particles of debris on the car when the cover is put on. No matter how soft the cover is, if the car has hard debris such as tiny rocks on it, then the cover could shift those around and potentially trap the paint. To fully protect your car outdoors, invest in a quality custom car cover and ensure your vehicle is clean before putting it on. You can invest in a vehicle bra to further protect from rock chips and possible give your cover a minimal lift and buffer, but the bra is more for protection while driving. Start searching for your California Car Cover today. This entry was posted in Contributed Posts, Racing. Bookmark the permalink.